While there are hundreds of species in the ficus genus, just a few of them represent most of the ficus grown as houseplants. 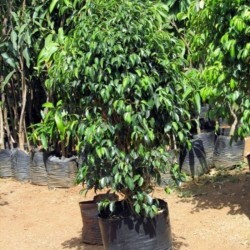 In particular, decide whether you want a trailing, or tree-type ficus. With its small leaves and long, drooping branches, trailing varieties look attractive in hanging pots. Tree varieties will grow into small shrubs inside the house. Ficus love bright, indirect sunlight and lots of it. Your plant will enjoy spending time outside during the summer, but protect the plant from direct sunlight unless it's been acclimated to it. During winter, keep your plant away from drafts and don't allow it to stay in a room that falls below 55-60 degrees F.
Ficus plants need consistent, but moderate watering throughout the growing season, with dry spells in the winter. Make sure soil is just moist, not dry or drenched, at all times, but cut back waterings in the winter. Your plant will likely lose leaves during the winter "dry" spell. Trailing style ficus are particularly susceptible to over- and under-watering. Misting the leaves can provide additional moisture during dry spells, with less threat of root rot. Well-draining soil is essential to keeping ficus healthy. 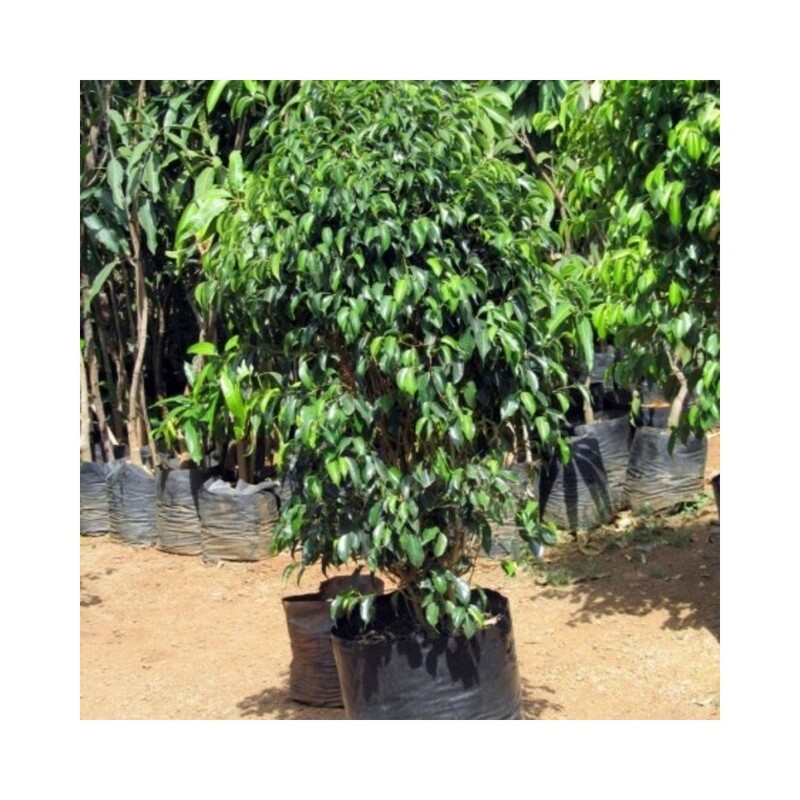 Ficus plants grow quickly, and can easily become too big for your home if you re-pot frequently. Limit re-potting to every other year to help keep your plant's growth in check! Ficus can be vulnerable to pests, such as mites and aphids, and have a tendency to drop leaves if not watered consistently. Trim your plant back regularly, keep an eye on the soil, and check leaves regularly for insects to ensure a long and healthy life for your ficus!